With the average property price increasing out of the reach of many people in the UK, we've complied a list to appeal to your 'hippie' side and show you that some benefits of so called 'alternative housing'. A most common alternative housing solution, it is estimated that up to 15,000 houseboats are owned in the UK, with between 30,000 and 50,000 residents. A reason that many people might be hesitant to make the switch from bricks to wood and land to water, is the fact that an average canal boat costs from '60,000 to '100,000, yearly maintenance cost is 10% of the value of the boat on average and it can become expensive. There are of course advantages to owning a houseboat; one of the biggest factors that many owners love is the fact of how mobile they can be, it's as simple as leaving slip you're renting and moving onto another. The ability to relocate in such a short space of time is a powerful asset to have, although beware - many houseboats are far from seaworthy. You may wish to purchase a houseboat for the lifestyle, a relaxing retreat to get away from everyday life, the calming waves and eerie stillness is definitely a pull that many enjoy. All in all if you're thinking about buying a houseboat I would suggest extensive research into your finances and see if you can afford to keep up with the yearly maintenance costs, and the price of your investment going down. 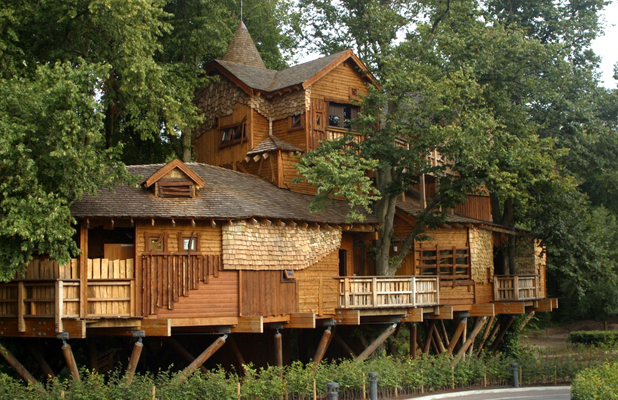 Now I know what you're thinking, a small, cramped and dark wooden box wouldn't be a great place to live, but now with more and more alternative housing routes opening up, companies have taken to building full sized tree houses for small families or couples. If the idea of living amongst the branches appeals, and you value your security and serenity then I would say this type of property should be your number one choice. If you're into eco-friendly living then you can find sellers who source all their materials ethically to produce your own tree house. Now, let's talk about the negatives. A problem that every tree house develops overtime is the natural growth of the tree; this potentially could destroy your home as it moves and there is little you can do to stop it. Weather also damages tree house structures, such as high winds and heavy rain can all have adverse effects on your tree house materials. All in all I would say having a personal tree house as a romantic getaway or somewhere to just get a break from it all is a good idea, but living there full time may get tedious very quickly. Arguably one of the most unusual alternative homes, shipping containers are cheap, easy to move and readily available. 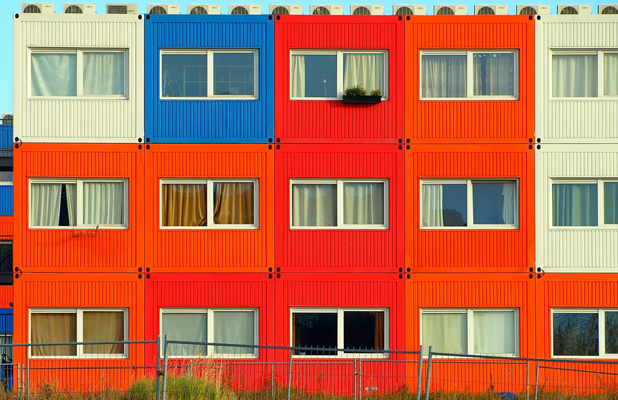 The rise of shipping containers popularity is mainly due to the cheap costs needed to convert one. Durability and strength is also a pull as shipping containers will be around for a long time and will not crumble with old age. Now with the positives aside, there was always going to be a negative. Shipping container homes can be small, you can of course add more to create a larger home, but as you do the costs also increase. These homes can also be a bit of an eyesore, although this can be treatable with a can of paint and a bit of elbow grease! All in all if I was to choose an alternative home to live in, a shipping container would be the last on my list due to the restrictive nature of your living space. One of the most recognisable alternative housing methods, these homes have been in production since the early 50's and have been gaining popularity ever since. 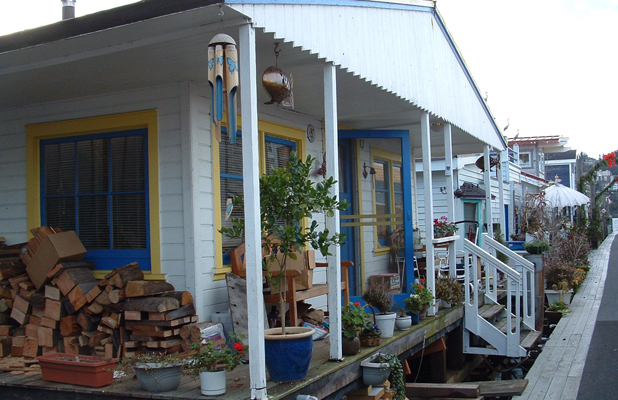 The ability to get up and leave, such as the houseboat, is a major positive when people look to buy an alternative home. This packaged together with the fact you will be able to get more for your money with an RV, this is why they have become one of the most popular alternative living methods. 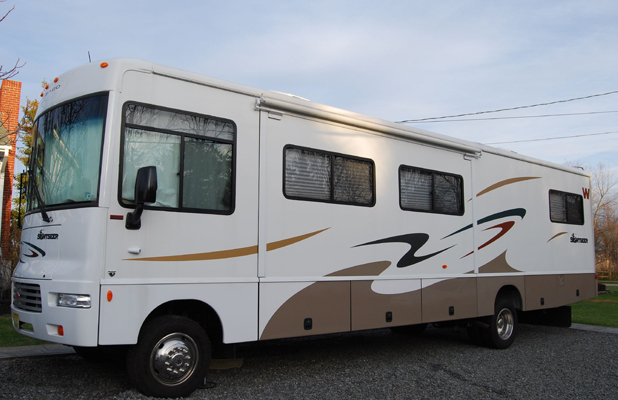 RV enthusiasts love to buy cheap, broken models in hopes of renovating them to their former selves. If you have the spare time I would suggest this route due to how cheap you can pick them up, and if you get bored, sell it fast for profit! Now we get to the downsides of owning an RV. One of the most cramped alternative homes, the beds can be small or the cabin could be a tight squeeze (although this depends on how big you buy in the first place). The biggest disadvantage of a mobile home is of course the fuel consumption which can be quite costly on a long trip. To summarise I would only look into buying a recreational vehicle if you can afford the fuel costs and maintenance costs, although can you put a price on the memories you will have? Last updated on 26/02/2014 by Jonathan Rolande.